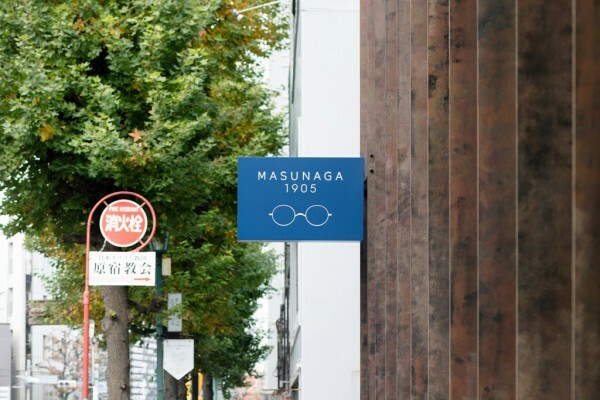 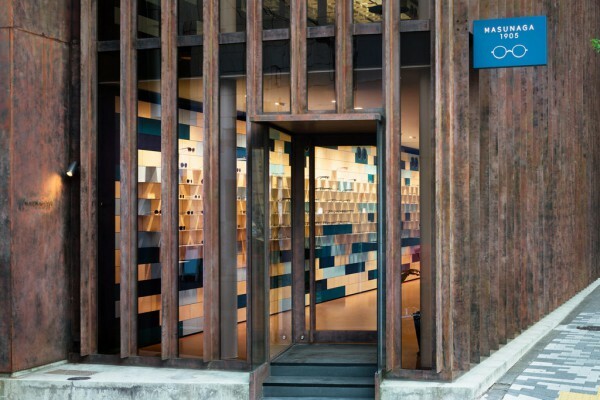 We renovated the "MASUNAGA1905" flagship store in Aoyama for Masunaga Optical, a well-established eyewear manufacturer founded in Fukui in 1905. 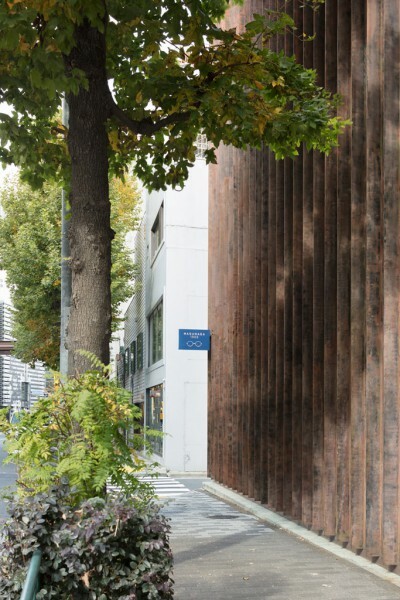 The original building was designed by artist Makoto Saito and built along Killer Street in 2002. 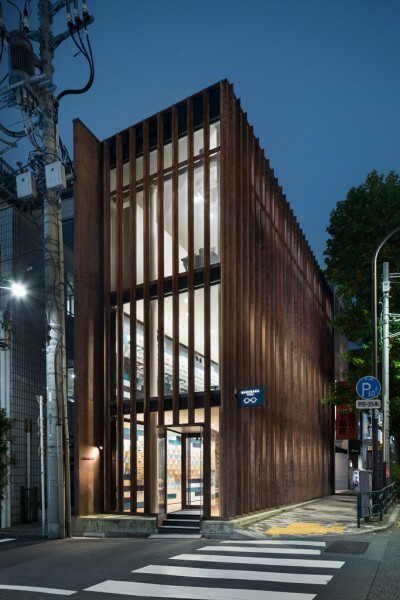 The 1st and 2nd floors serve as a store while the 3rd floor is used as an office. 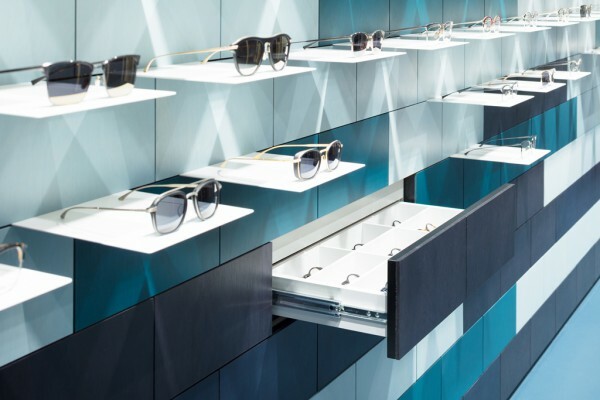 Deliverables included a complete overhaul of the store's interior that would harmonize with the existing building. 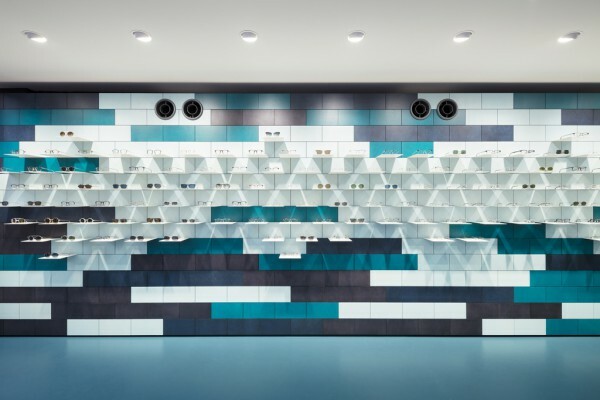 We sought to make the most of the long and narrow site (3mX12m) by creating a feature wall capable of holding 150 items on display. 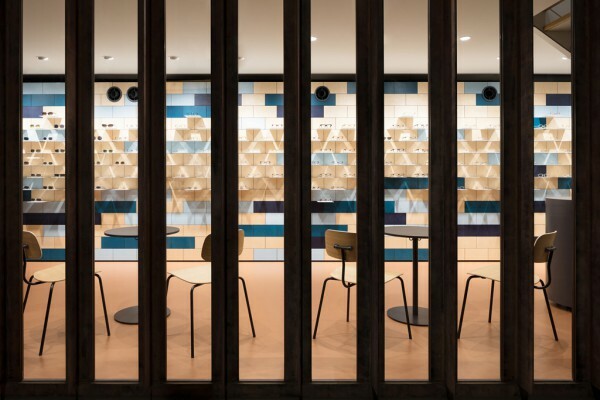 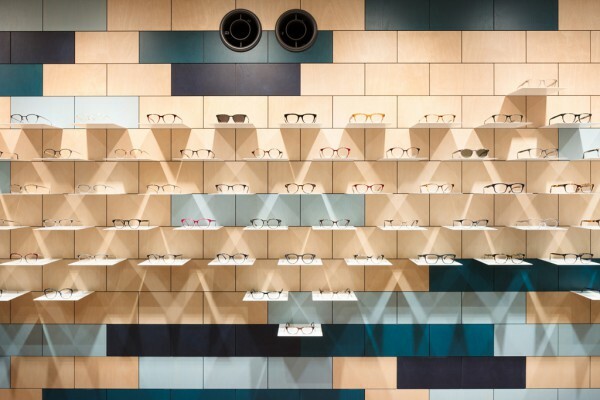 The wall consists of birch panels which are arranged in a brick wall pattern and present a 5 tone gradation bridging the natural color of wood and the brand's signature color dark blue. 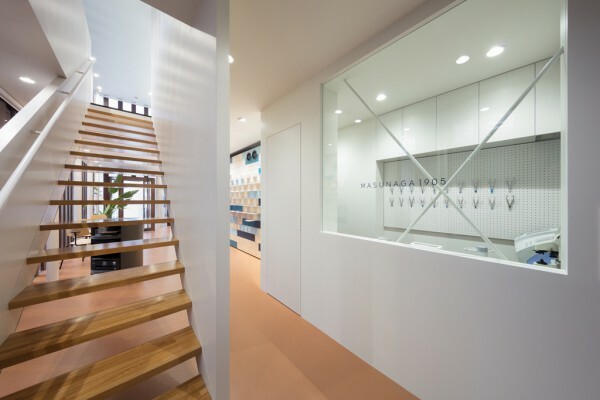 The first floor offers a casual atmosphere with many natural colors and the second floor offers a relaxed atmosphere centered on the color blue. 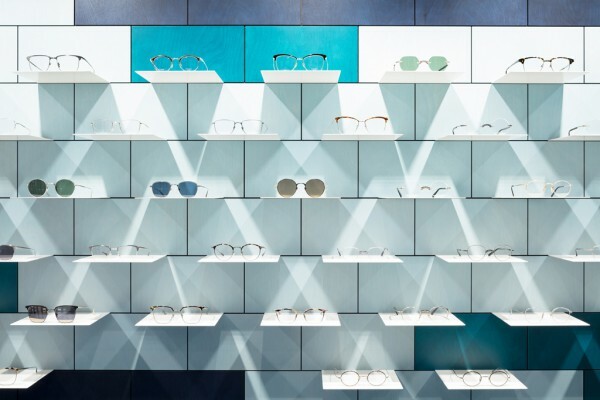 The light shining on the products passes through the gates created by the shelf boards and draws a cascade of graphical lines on the wall. 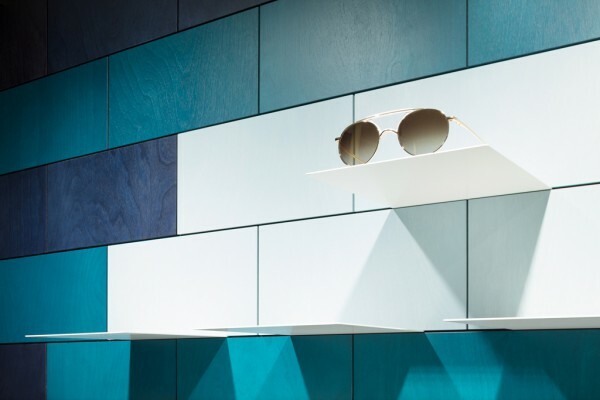 The wood grain in each panel is visible behind the products as they come into view one by one. 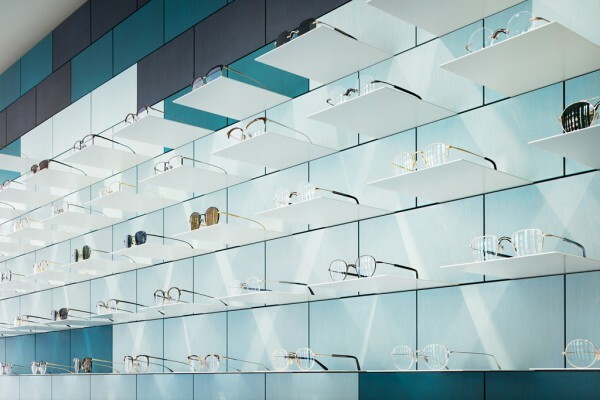 Masunaga Optical's dedication to craftsmanship is what defines their products and careful consideration was given to showcase each one of them in the light they deserve. 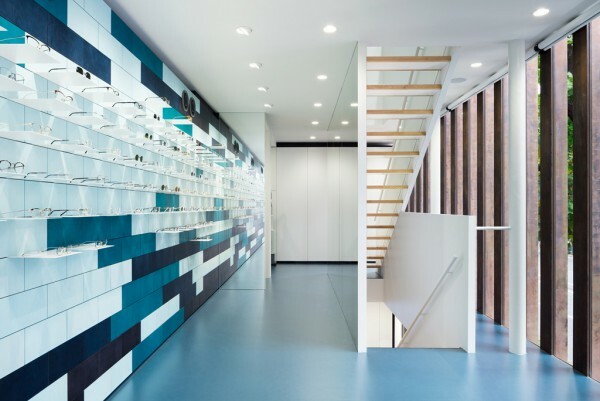 Also, in order to create a sense of loftiness within a limited space, mirrors were effectively placed inside the store, and a new staircase with a light structure was installed by nesting the plate boards between two thin walls. 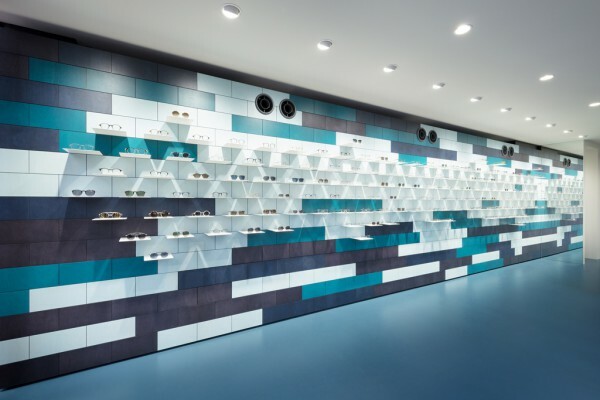 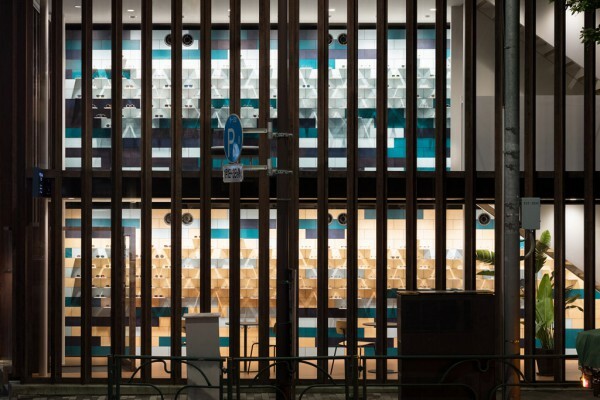 Furthermore, the narrow width of the building combined with the fact that the interior display wall shares the visual characteristics of an exterior wall, contributes to blur the boundary between the inside and the outside.